Cookies & Candies: Dollhouse or Bookcase? Pretty much everyone in my family is a bookworm. These days I prefer to buy e-books to save us lugging books from place to place each time we move. The problem with books is storage. Houses in the UK are far smaller than what I'd accustomed to in NZ. I haven't noticed this till yesterday that Little L has so many books that I find myself stuffing them in any available space in our flat. 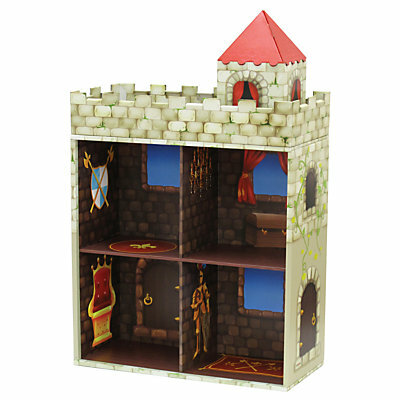 I don't want to buy yet another expensive bookcase particularly for a 5 year old whose fickle preferences change as often as the wind changes directions. Since it was a Bank Holiday on Monday, I dragged hubby aka pack mule off to get an easel for Little L as well as a couple of much needed school accessories. I chanced upon an interesting idea for a bookcase at John Lewis. 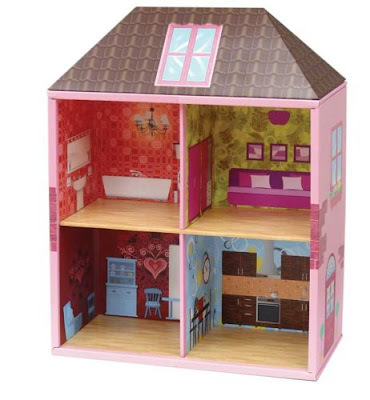 It's made of 60% recycled paper but what really intrigued me is the pretty but sturdy dollhouse design. Each cell can hold up to 8kgs which is rather remarkable. It's designed to be a bookcase but I can see how it'll also work as a dollhouse for Little L's growing collection of Sylvanian Families. At £39.99, it's not cheap but it's heck of a lot less expensive than a bookcase which I will end up with the dreaded task of putting it together. 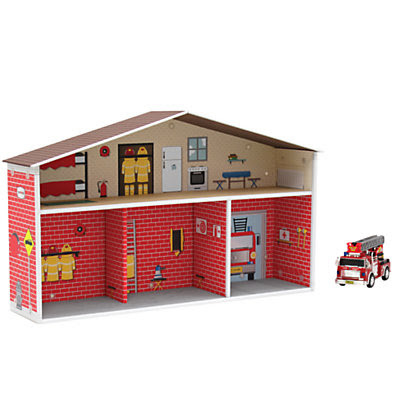 It also comes in 2 other designs, a castle and fire station which are equally adorable for little boys. Just adorable!!! The castle is too cute! And, of course, I'm a huge bookworm too. But you could've already guessed that! I'm starting to resort to e-books these days but some books have to be touched and held. The Ines de la Fressange book will come in very handy for you when you get to Paris. Really cool! By the way, I also need to get a hold of Ines de la Fressange's book.